"Each jar comes with 500 colorful, plastic disks that click together with ease for hours of building fun." "These award-winning toys encourage an early interest in engineering and help develop confidence and problem-solving skills." "For small fingers that have never done needlepoint before, this is a great first kit to get them started." "Comes with a flower-shaped pot in which to house the fairy garden as well as paints, gemstones and other bling to decorate the pot." "Think Hoverboard meets soccer ball." "All 352 pages are filled with riddles, knock-knocks, tongue twisters, and cartoons." "It comes with two microphones, Bluetooth capability, and an auxiliary input that allows her to connect with other devices." "Different from traditional swings that simply go back and forth, this one can spin, bounce and twist." Besides the great name—Brain Flakes —this set of plastic disks is a gift that offers unlimited potential for fun and learning. Each jar comes with 500 colorful, plastic disks that click together with ease for hours of building fun. Anything she can imagine, she can build. There’s an instruction booklet with some ideas (how to build a Brain Flakes ball, for example), but there’s no limit to the amazing things she can create on her own. From houses to bouquets of flowers and creatures galore, you’ll be amazed at what can be done with these clever little disks. It’s a great STEM toy that teaches engineering skills and is great for motor skills too. Of course, she’ll have no idea she’s being taught anything, as she’ll just be having fun. Don’t be surprised if mom and dad get in on the building action too — these things are addicting! Simply put, GoldieBlox is a brilliant gift for a 7-year-old girl. Designed specifically for girls, these award-winning toys encourage an early interest in engineering and help develop confidence and problem-solving skills. This particular set includes 275 pieces and endless opportunities for building and problem-solving. There’s a poster with engineering terms as well as some ideas for building, such as a catapult and a caterpillar to get her started. However, it’s the entertaining online videos featuring the world's’ first girl engineer character, Goldie Blox (released regularly at BloxTown.com) that really let them see the endless possibilities and spark enthusiasm. The beauty of these toys is that there’s no right or wrong way to use them; it’s all about experimenting and seeing what works, learning along the way. 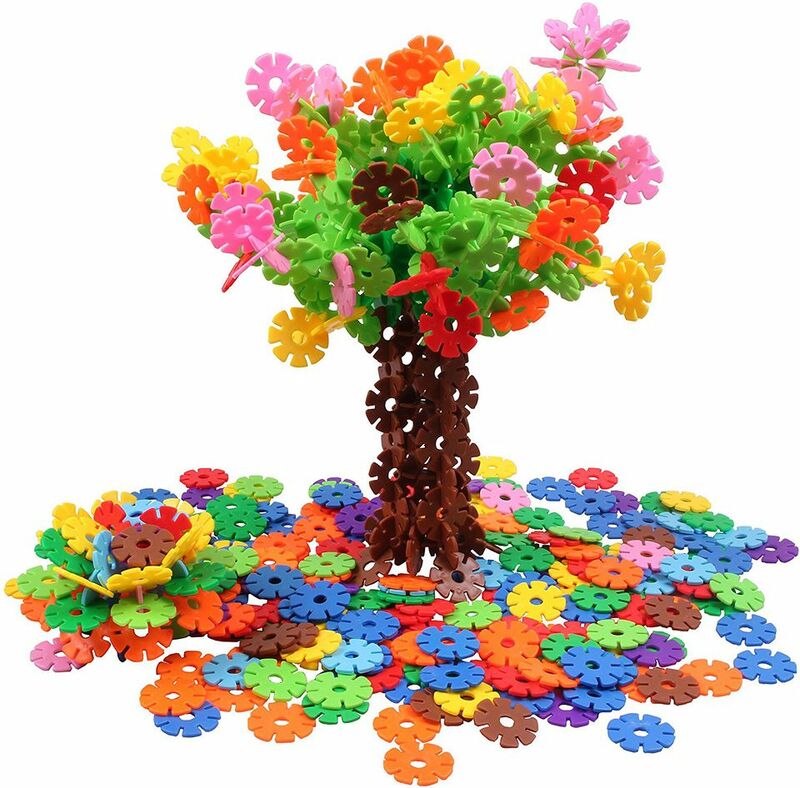 This set is compatible with all other GoldieBlox sets, so the fun and learning can grow and grow as you combine them. For small fingers that have never done needlepoint before, this is a great first kit to get them started. It contains everything they need to stitch a pretty flower, including a plastic canvas, frame, eight colors of yarn and a plastic needle with which to do the work. There are also instructions that describe the work step-by-step and make the entire process a fun and easy one. It’s a great introduction to a fun hobby that could last her a lifetime, and it’s a good exercise for fine motor skills and coordination. The price can’t be beat either. It makes a great stocking stuffer, add-on gift or for one of those occasions when you just want to give a little budget-friendly something to a special 7-year-old. Here’s a gift that will utterly enchant a 7-year-old girl—her very own fairy garden. This kit allows her to grow an amazing little pot of real-life plants for all of the sparkly little fairies that float around in her dream world. The kit comes with a flower-shaped pot in which to house the fairy garden as well as paints, gemstones and other bling to decorate the pot, because, of course, fairies like fancy things. There’s also potting mix and seeds that will sprout and grow into a beautiful kingdom for those with wings. Just add water. To make it even more magical, there’s also a flower fairy figurine, a fairy house, toadstools, pixie dust (but of course) and more to intersperse throughout the garden as well. Designed for indoor use, place it by a sunny window and wait for the magic to begin. For the sporty set, this gift is a ball of fun. While you kick it just like a real soccer ball, it’s actually not a ball at all—rather it’s a battery powered disk (four double AA batteries are not included) that “floats on a cushion of air.” Think Hoverboard meets soccer ball. It can be used outdoors or indoors on most any surface including wood, cement, linoleum and even some carpets. A bumper around the rim protects furniture and walls from scratches and dents as it bounces off surfaces. Use a goal or make up your own rules, the only must is that you have fun. She can practice her skills by herself, or get several friends involved for a full-on game. Lights for nighttime use and a music mode boost the level of fun. It’s a great gift that encourages physical activity and is fun for the whole family. Let the games begin! For the budding comedienne, this super-sized book will provide hours of comedic inspiration. All 352 pages are filled with riddles, knock-knocks, tongue twisters, and cartoons. She’ll have an arsenal of material to entertain her friends, family and the server at her favorite restaurant. Who knows, maybe this gift will inspire a future career in stand-up comedy—or at least give her a few to use at a boring dinner party someday. From Highlights Magazine, this age-appropriate book is also filled with hilarious illustrations to keep the whole family in stitches. Plus, this book is a great way to get kids to read. One happy customer wrote, "it has been encouraging my reluctant reader to read." She will sing your praises when she opens this amazing karaoke player. Not only does it do all of the things you’d expect a karaoke machine to do (namely let her belt out her favorite tunes over and over for everyone to hear), but it also comes complete with disco light effects that can be dimmed according to the mood of the music. It comes with two microphones (duet, anyone? ), Bluetooth capability, and an auxiliary input that allows her to connect with other devices. There are all sorts of features to make her sound the best, such as auto voice control, balance control and echo control. If she’d rather just dance, there’s also a CD player to blast her favorite tunes. Is there anything more carefree and fun than swinging? Actually, yes, with this fun spinner swing. Different from traditional swings that simply go back and forth, this one can spin, bounce and twist. Not only that, but its large, comfy net seat can hold up to 220 pounds, meaning several friends can pile on at the same time. Adults will likely want to take a turn too. While it’s great outside to hang from a tree or a swing set, it can also be mounted inside, making a fun addition to a bedroom or playroom where she can curl up and read or daydream. It’s easy to install and comes with sturdy rope and all of the mounting accessories and instructions parents need to safely install it. It’s also portable so it can be moved and taken along to picnics, parties or anywhere you want a swinging good time.